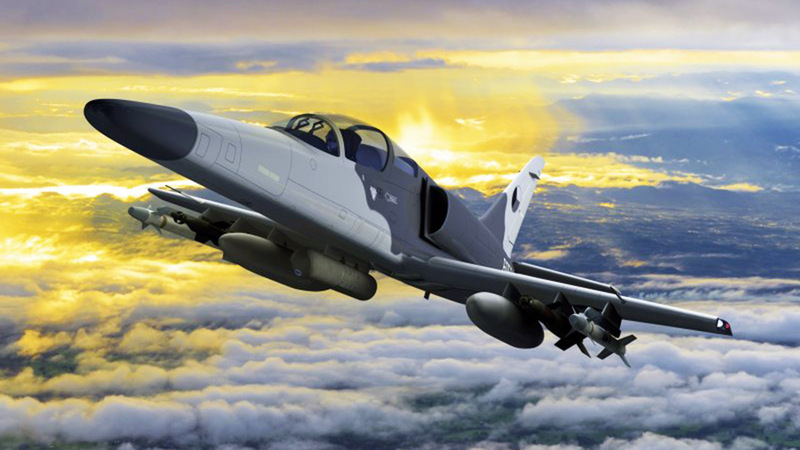 On July 16, 2018, Aero Vodochody, the Czech aircraft manufacturer, and Israel Aerospace Industries (IAI) unveiled cost-effective and combat proven variant of former's L-159 Advanced Light Combat Aircraft (ALCA), designated as "F/A-259 Striker", at Farnborough Airshow in the United Kingdom. The aircraft is designed for close air support, counter-insurgency operations (COIN) and border patrolling with interception capabilities. The model of the aircraft and its performance specifications were shown for the first time at the Farnborough Airshow which is a week-long, biennial event that combines a major trade exhibition for the aerospace and defense industries with a public airshow. The aircraft has an ability to operate from unpaved runways and comes with seven hardpoints for any combination of fuel, weapons which includes general purpose dumb bombs (GPDB/GBU), laser-guided bombs (LGB), unguided rockets, air-to-surface (ASM), short-range air-to-air missiles (AAM), and a twin-barrelled 20 mm cannon pod, or mission equipment. It has been provisioned to carry reconnaissance and targeting pods. Also, the specifications include the followings — a top speed of 0.82 Mach, a maximum rate-of-climb of 10,400 ft/min, a service ceiling of 43,000 ft, and a maximum g-loading of +8/-4 g.
Giuseppe Giordo, the President, and CEO of Aero said: "Nowadays, national air forces are looking for a solution how to fulfill a great variety of missions in an affordable way while keeping high survivability of the aircraft and its crew. 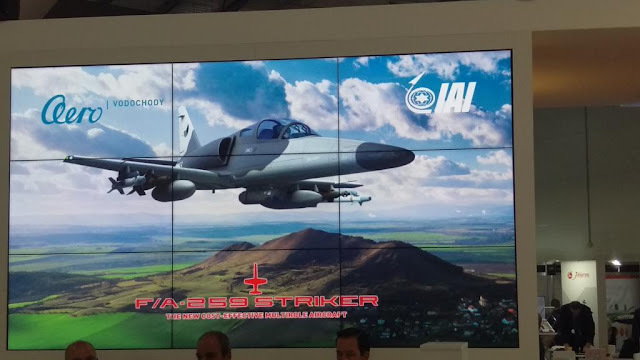 Aero and IAI are introducing a multirole fighter F/A-259 Striker with a wide range of combat capabilities that meet those needs of Air Forces all around the world by bringing great performance with the low acquisition, operation, and maintenance cost." He further added: "There are not so many aircraft on the market providing such capabilities, because it is a new requirement." Benjamin Cohen, General Manager of Israel Aerospace Industries’ Lahav Division, said: "Our cooperation with Aero Vodochody offers the USAF impressive proven performance of the F/A-259, with new innovative IAI systems, to provide customers with aircraft that meet their OA-X requirements." The aircraft will be powered by a single Honeywell / ITEC F124-GA-100 — a low bypass, two spool engine (it means that there are two rotational shafts — a high-pressure shaft, and a low-pressure shaft; which has been previously used in L-159). The fan/low-pressure compressor section is made of three stages with titanium blades. The first stage has 30 un-shrouded blades, and the overall pressure ratio for the three-stage fan section is 2.5:1. Some of the air is bypassed (Bypass ratio of 0.472:1), and the rest is fed to the high-pressure compressor section. 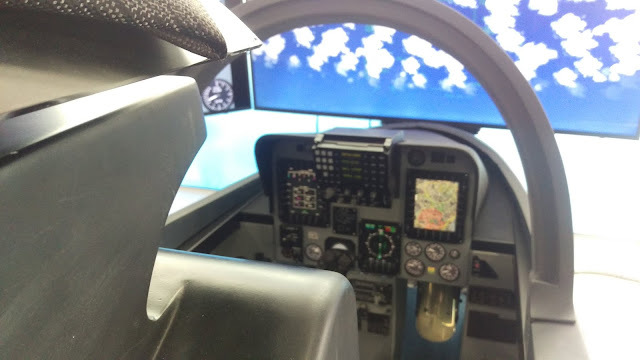 The novelty of this new aircraft includes a night-vision goggle (NVG)-compatible to an "advanced digital glass cockpit" which is equipped with two large multifunctional displays, electronic flight instrument system, and other features, similar to L-39NG; hands-on-throttle-and-stick (HOTAS) control system; IAI Elta multi-functional Synthetic Aperture Radar (SAR), integrated with Ground Moving Target Indicator (GMTI). The 4th generation avionics of the aircraft is based upon an open architecture concept, allowing future updates based on customer’s third-party requirements and use of Real-Time Data Link, supporting a high situational awareness capability. As an optional upgrade, the aircraft can be equipped by active electronically scanned array (AESA) radar system and helmet mounted display (HMD) system. Another optional upgrade is air-to-air refueling, increasing the aircraft’s range and endurance.